FOOD, FUN, & ACTIVITIES FOR ALL… JOIN US AT OUR LIGHTS ON AFTERSCHOOL CELEBRATION & HAVE A BALL!!! Homepage Education FOOD, FUN, & ACTIVITIES FOR ALL... JOIN US AT OUR LIGHTS ON AFTERSCHOOL CELEBRATION & HAVE A BALL!!! Lights On Afterschool is a project of the Afterschool Alliance that brings light to the importance of afterschool programs across the county. Allegheny Partners for out of School Time (APOST) and our afterschool partners are hosting local community events across the region. Stop by a Light’s On Celebration and learn more about Pittsburgh’s rich community of afterschool providers!!! So stop by our Lights On Celebration at Ruth’s Way THIS THURSDAY OCTOBER 26TH FROM 3-6PM, and join us for a fun-filled evening of Virtuous Bingo, Toastmaster’s Demos, and a few other exciting surprises that showcase exactly what it is that we do at Ruth’s Way as an Afterschool and Out-of-School Time provider!!! There will be FOOD, PRIZES, AND MUCH MORE!!! 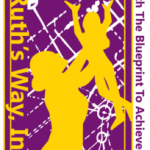 Ruth’s Way, Inc. is located at 11524 Frankstown, Rd., Pittsburgh, PA. 15235 (located inside of St. James Episcopal Church). Ruth’s Way & TUPPERWARE, together at last! Do you like the work that we do here at Ruth’s Way?